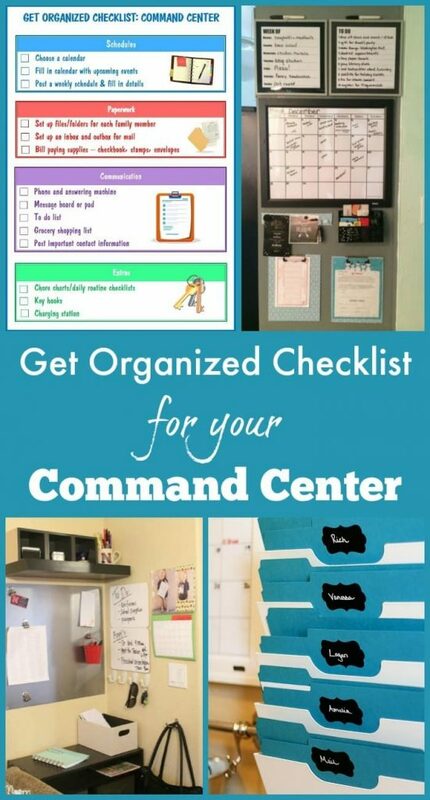 This get organized checklist for your command center is the first in my get organized series. A command center is the central hub of your family life. Getting your command center in order will help you manage day to day life easier. With general household management out of the way, you’ll be able to tackle the upcoming organizing tasks with more energy and focus. 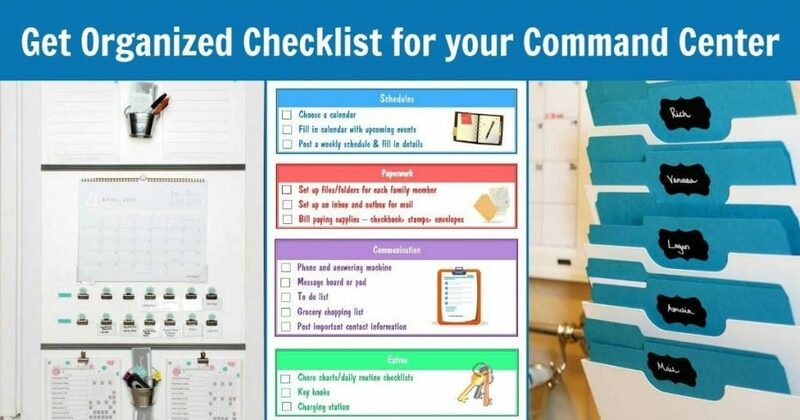 I decided to create this series based on the popularity of my Annual Get Organized Checklist. This is the checklist I use at the start of each year to get all aspects of my life in order. The checklist itself is pretty basic. If you just want the printable, go directly to the next page to download and/or print it. If you’d like more details on each step and tips for setting it up, this section will provide lots of help. Between work, school, extracurricular activities, and social events, family life has a lot of moving parts. It is essential to stay on top of each person’s schedule. With 6 people in our family, I need a lot of space to track each person’s activities so we use a large calendar. We tried a dry erase version but I like being able to look back at prior months to jog my memory so I prefer a paper calendar. 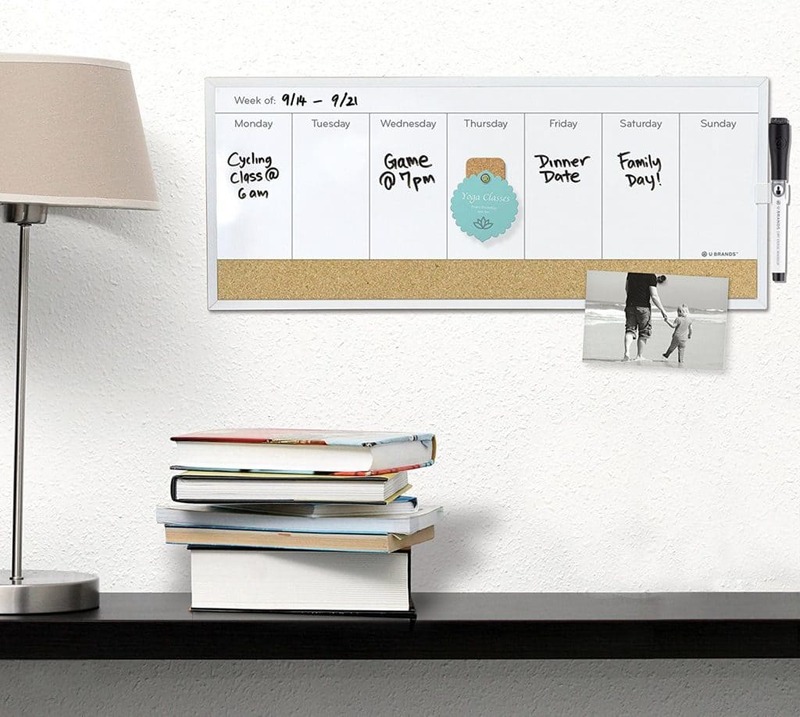 You know what works best for you so choose a calendar that fits the way you work. Next, you’ll want to gather everyone’s schedules and consolidate all of that information on the family calendar you selected. Put in birthdays, games, recitals, meetings, and any other important dates. I also like to keep a weekly schedule posted to remind us who has what activities each day of the week. Since I don’t want to crowd our family calendar with all of the practices, lessons, and other frequent responsibilities, the week-at-a-glance is an easy way to capture it all. With so many papers coming in from school and the mail, it’s important to create a system to manage it all. First, set up files or folders for each family member. 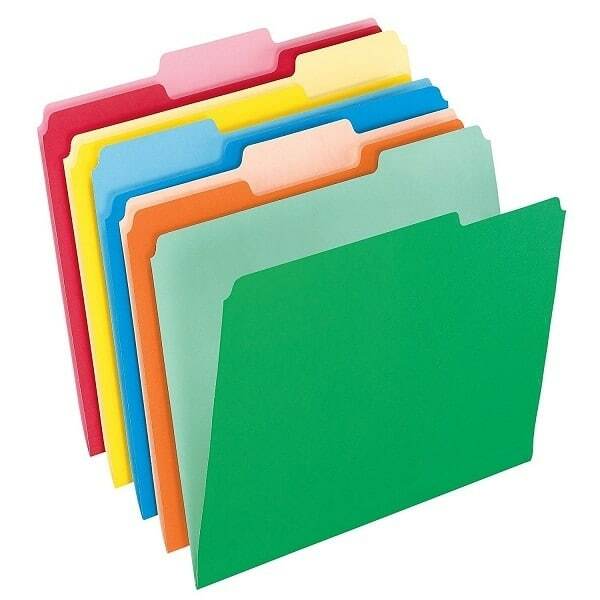 Make sure the files/folders are labelled and that each family member knows which one is theirs. You’ll also need an inbox for mail you need to sort, forms you need to sign, and information you need to add to the family calendar. So, when your daughter brings home a field trip permission form, it will go in your inbox. After you sign it and send back the portion that must be returned to the school, you’ll put the information sheet in her folder. I’m a big fan of the “one touch” rule, though I’ve had a hard time sticking to it. Basically, the rule dictates that you can only handle each piece of paper once. That means when the mail comes in, you will pay bills immediately, file important documents, and trash unwanted mail. If you follow the one-touch rule, clutter doesn’t pile up because you develop the habit of always putting things in the right place and taking care of tasks immediately. I do try to pay bills right away so in my command center I also have an outbox for mail. In addition, I keep all of my bill paying supplies at my command center to make it easy for me to pay them immediately. Click the “Next” button below to go to the next page where you will find more details plus the free download. 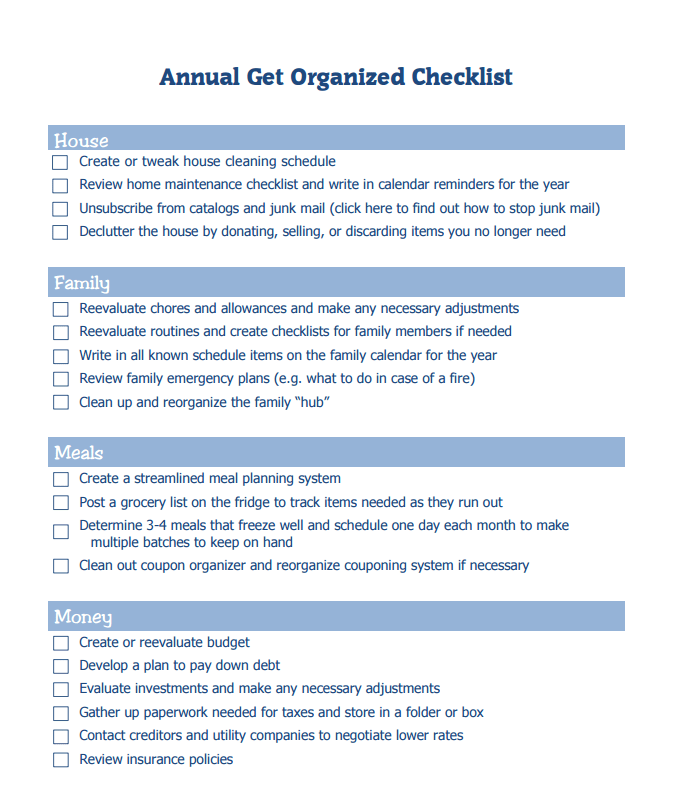 I have a 14 year old son and need suggestions for helping him organize his time…homework, study, and household responsibilities)chores). I’m getting a bit frustrated with having to ask him to do this or that, thinking that it’s time to really promote responsibility and independence. I so admire your organization skills! Thank you. Being organized is an ongoing battle for me and sometimes I do better than others. I have a 14 year old son too who is struggling with managing his personal responsibilities. We’re currently using two different strategies. One is the “X System” that is my go-to for almost every parenting struggle. The other is a notebook. Each day he records everything he needs to remember (homework, something he’s supposed to ask a teacher or counselor, instructions from coach about an upcoming meet). Since he carries it with him everywhere, he checks it at key transition periods during the day (before he leaves for school, at the end of each class, when he gets home, and before bed). My teen daughter who is the queen of organization, uses a similar system but tracks everything on her phone and sets alarms when she needs to remember to talk to a teacher, turn something in, etc.